1. The beam uses light structural design, with good rigidity structure, light deadweight and small movement inertia. 2. The gantry structure and X, Y axis all use straight rail that make the machine driving smoothly with high-precision. 4. 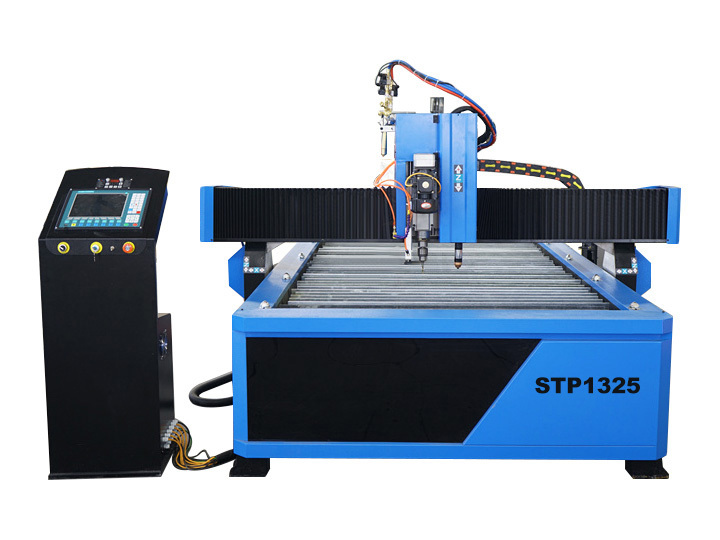 The CNC plasma cutter is equipped with other advertise equipment (blister machine,engraving machine), forming the advertising word processingpipeline. Completely solve the traditional manual processing methods.Improve the efficiency of several times. 5. Cutting mouth is small, tidy,and avoid a second dressing processing. 6. It can be used for iron sheet, aluminium sheet, galvanized sheet, hundred steel plates , metal plates and so on. 7. High cutting speed, high precision, and low cost. 8. The numerical control system disposes high, the automatic striking arc, the performance is stable. 9. Support Wentai, Astronautics Haire, ARTCAM softwares, Type3 produce standard G code path document, you also can change software to read DXF files by AUTOCAD. 10. The control system uses the U-disk exchange processing document, easy to operate. All kinds of metal materials such as steel, copper, aluminum and stainless steel can be processed. It is applied to iron plate, aluminum plate, galvanized sheet, white steel plate, titanium plates and other sheet metals. Iron, Steel, Aluminum, sheets, Galvanized, sheets. 1. One year warranty, main parts are free of charge when problems happened during the guarantee period. 2. Free training course at our factory with professional engineers. 3. We provide the consumable parts at agent price when you need replacement. 4. 24 hours online service each day, free technical support with different languages. 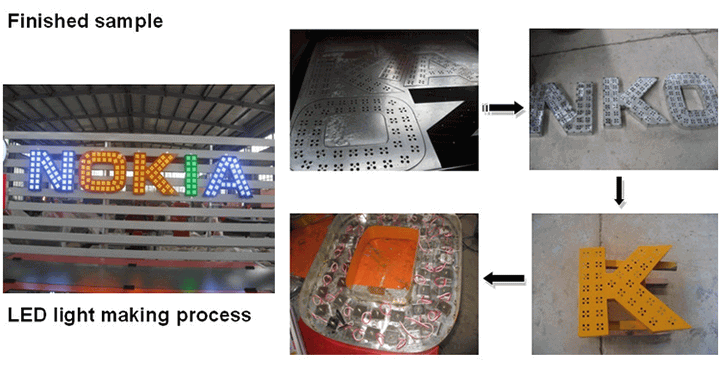 License: The text of "Cheap CNC Plasma Cutter for sale with low price" by STYLECNC is licensed under a Creative Commons Attribution 4.0 International License. 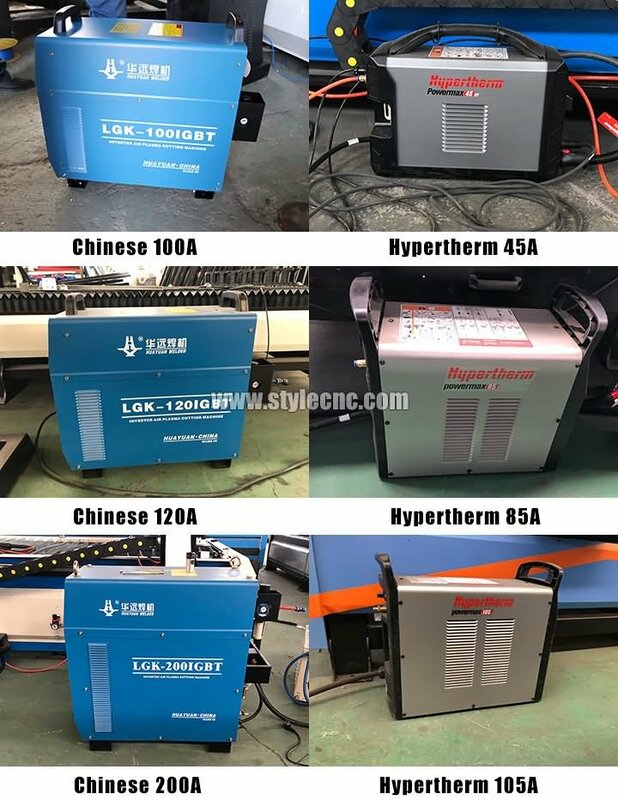 You may always confused about CNC router, CNC laser and CNC plasma cutter, now STYLECNC will take you to learn the difference in the materials application. How to evaluate the quality of CNC plasma cutting machine? 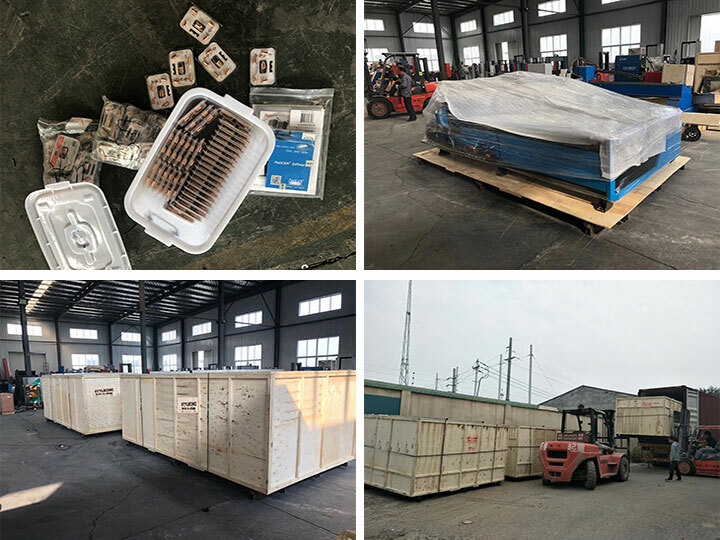 How to prolong plasma cutting machine consumption parts life? Everything was fine. The seller helped a lot. I recommend!Reply from STYLECNC: Thanks! I'm very satisfied with the plasma cutter, the seller is cooperative and responsive to my problems.